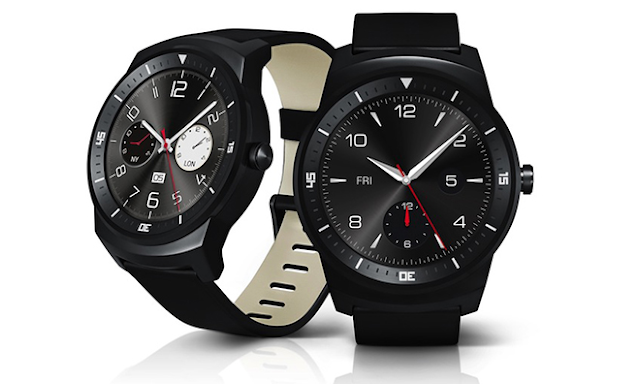 "Aside from the format change, however, the G Watch R appears to be a repackaged version of the original G Watch model. Both run a 1.2GHz Qualcomm Snapdragon 400 chipset with 512MB of RAM, include 4GB of flash storage and come with interchangeable straps. The new version does feature a heart rate monitor built into the case back, as well as a physical power button that doubles as the watch's crown, much like the Moto 360."